Julay crafternoon snuck up real quick since June’s crafternoon was so close to the end of the month. 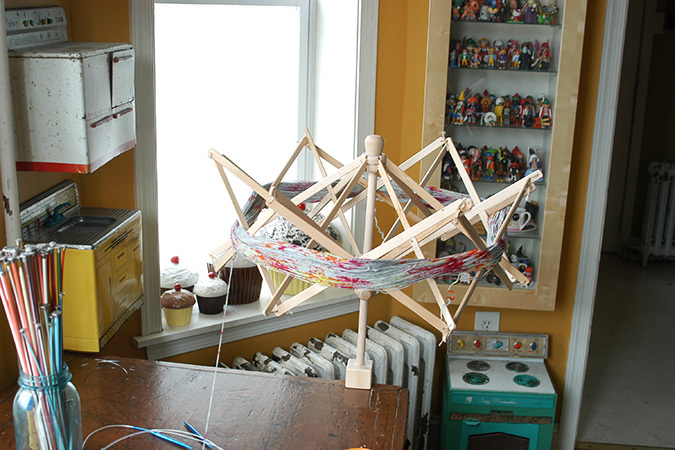 It worked out well since we were doing knitting & crochet lessons using the yarn we dyed last time. 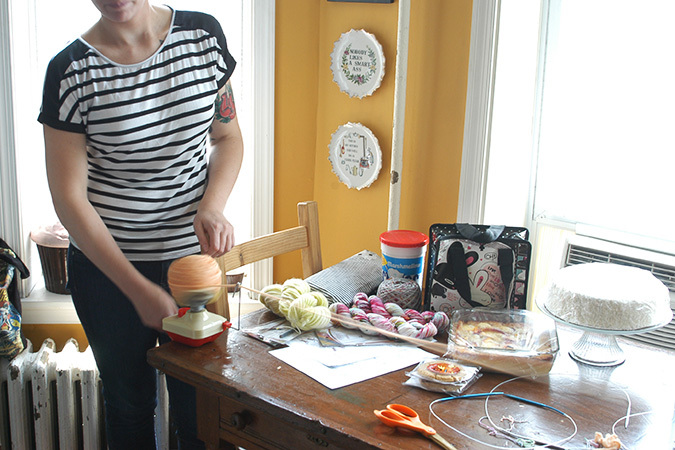 First everyone turned their skeins of yarn into center pull yarn cakes using the ball winder & swift. 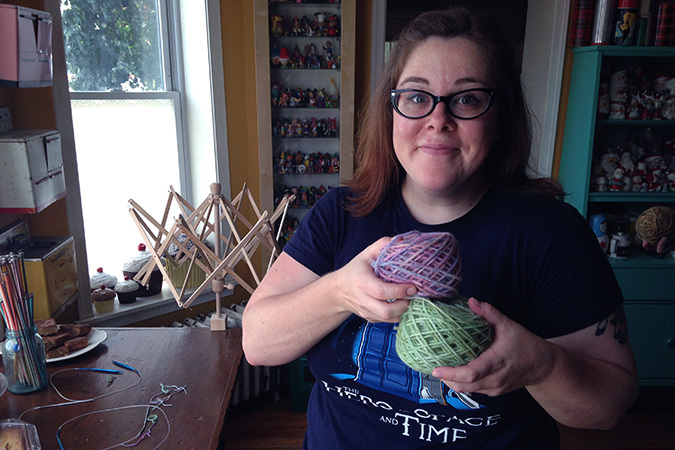 You can see adorable Molly in the bottom photo with her yarn cakes. Then instead of sitting around a table like we normally do, we all headed to the living room to make ourselves comfy for the lessons. 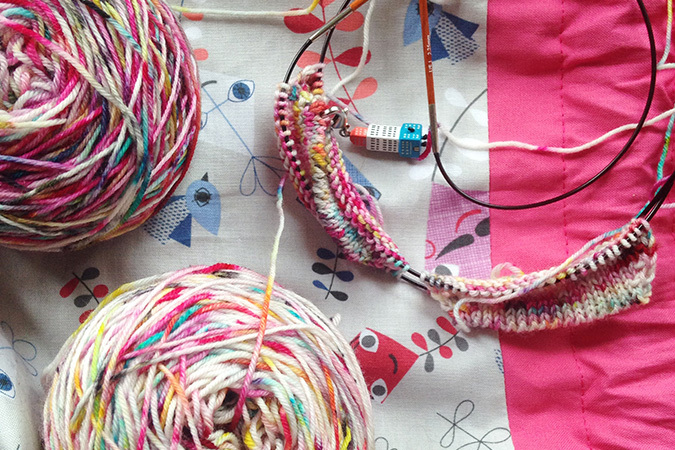 Not everyone ended up loving either knitting or crochet, and thats ok! I think no matter how people end up feeling about their creations or the craft, we have a good time. We did the White Elephant swap as we usually do. I decided to wash out a vintage looking Fluff container and it cleaned up perfectly inside the dishwasher without loosing any paint. 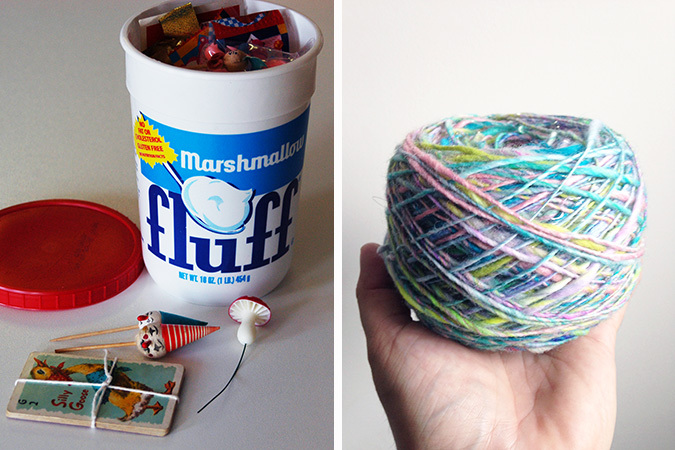 I filled it with vintage trinkets and bobbles from my own personal collection. I recently received some gorgeous Knitter’s Pride needles and crochet hooks to try out and I am blown away! I have always used cheaper needles that I’ve found at thrift shops and the chain craft stores. To be honest I never really thought there could be a huge difference. Boy was I wrong! 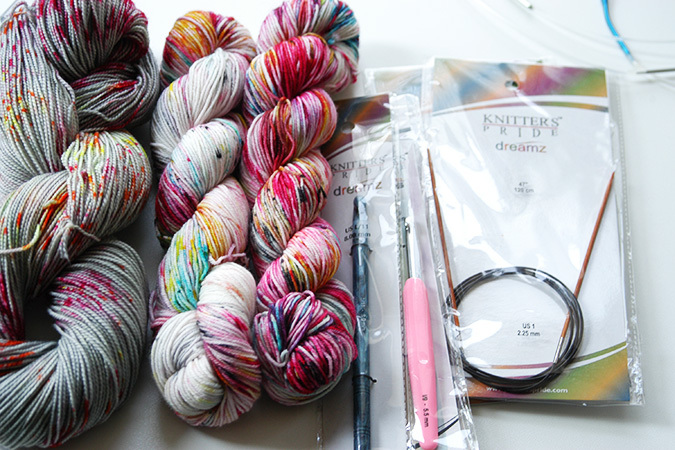 I am currently using the Nova interchangeables and I love them, but my new favorite needles are the Knitter’s Pride Dreamz circular needles. I started doing some two at a time sock knitting, and these needles knit so smoothly, I have never experienced knitting like this with the needles I’ve used in the past. The wood is so smooth that the stitches just glide over the needles. I’ve always gravitated toward wooden needles because I don’t like how slippery metal feels to me. However with these needles I feel I get the smooth glide of the metal, but without the slippery feeling the metal needles have given me. 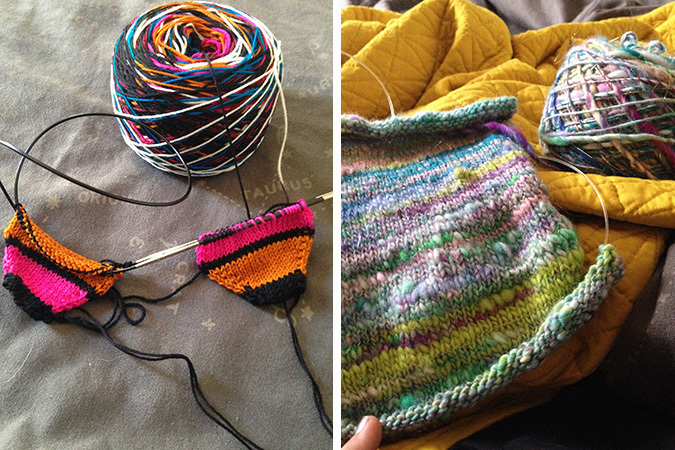 Have you tried any knitter’s pride needles you’d recommend? I’m totally hooked!